Share the post "Annuals You Should Be Planting In Autumn"
In the wild, as wildflowers bloom and ripen into seed all summer and into fall, the seed simply falls to the ground and is “planted”. So, planting isn’t just a spring activity. The fall sowing of annual seeds is an investment in next spring’s flower garden. In fact, some people think fall planting is easier. There are several advantages of planting in fall: fall planting results in earlier blooms, there is more time to plant in fall (it is a good idea to combine wildflower seed planting with fall bulb planting), easier weed control (the dormant weed seeds situation is a real help to the gardener). Sowing summer-flowering plants in autumn, will be rewarded by an impressive early display. 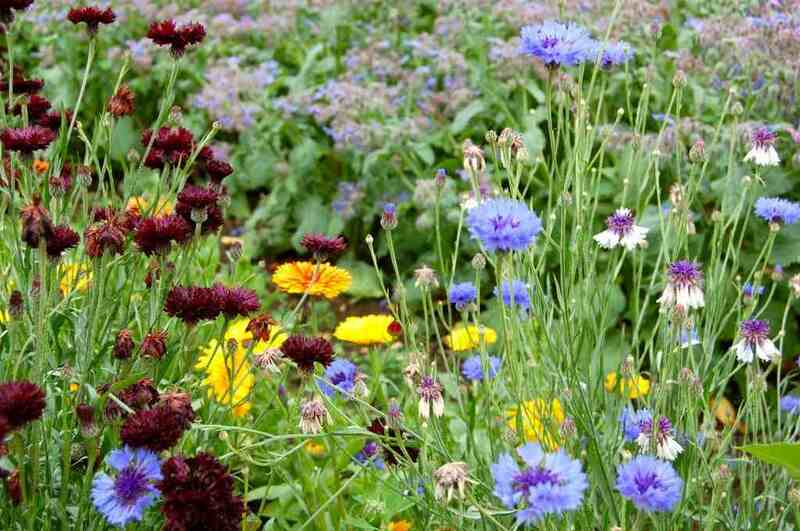 Many annuals can be sown in autumn and will overwinter successfully. Annuals are plants that complete their life cycle, from germination to the production of seed, within one year, and then die. Summer annuals germinate during spring or early summer and mature by autumn of the same year. Summer annuals sprout, flower, produce seed, and die, during the warmer months of the year. For example, the lawn weed crabgrass is a summer annual. Some of summer annuals are petunias, celosia, also known as cockscomb, marigolds, cleome, and cornflowers. Winter annuals germinate during the autumn and mature during the spring or summer of the following calendar year. The plants grow and bloom during the cool season when most other plants are dormant or other annuals are in seed form waiting for warmer weather to germinate. Winter annuals die after flowering and setting seed. Winter annuals typically grow low to the ground, where they are usually sheltered from the coldest nights by snow cover, and make use of warm periods in winter for growth when the snow melts. Some common winter annuals include henbit, deadnettle, chickweed, and winter cress. For many gardeners, annuals are a go-to solution for many garden needs. Annual flowers are a quick way to fill empty spots in flowerbeds, and early-blooming spring annuals make great additions to container gardens. The unpredictable nature of self-seeding flowers allows for informal garden effects, such as the cheerful little violas known as Johnny-jump-ups along the fringes of a gravel path; spires of volunteer larkspurs among the roses; or a cottagey mix of nicotiana, cosmos, and feverfew. Most of these annuals prefer bare soil (or gravel) to germinate, but a few will pop up through mulch. Some self-seeders, such as cleome and love-in-a-mist (Nigella damascena), verge on weediness, germinating in crowded thickets if not reined in. Use a hoe to dispatch the unwanted extras in spring. Thin the remaining seedlings so each has enough room to develop. Of course, learning to differentiate among flower and weed seedlings is essential, as seedlings are bound to show up in unexpected places. So, when tidying flowerbeds in fall, shake the remaining seedheads where you want new seedlings to appear. Nature will do the rest. The list of annuals that self-seed depends on climate. More volunteer seedlings tend to appear where winters are milder. Self-seeders include California poppy, cornflower, and calendula, plus nostalgic favorites such as four-o’clock, tassel flower (Emilia coccinea), corn poppy, annual baby’s breath, and gloriosa daisy. However, for any garden, there are dozens of annuals that might work for particular sun/shade situations, soil conditions, and color/plant preferences. We can recommend several books to read, which will help you choose the best annuals for your area. The book contains all the information needed to make the right choice from the enormous number of plants available. With its compact and easy-to-use format, the book is perfect to take along to the nursery. Using the comprehensive plant-selection tables, gardeners can see at a glance the most important characteristics of more than 1,300 annuals and perennials, helping them make the best choice for their garden’s appearance and cultivation requirements. Brilliant photographs and down-to-earth advice are packed into this guide to over 300 annuals suited to the climate of the western Great Lakes region. Engebretson and Williamson provide information on light, water and nutrient needs, as well as recommendations on how and when to start your plants. This book also includes tips on planting, growing, recommended varieties and problems and pests. 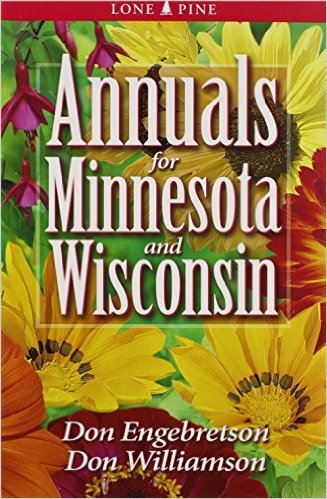 Useful book to know what type of plants will grow in the Midwest. Annuals for Northern California – discover the best annuals for Northern California with this colorful guide. his handy reference features almost 450 annuals best suited to the region. Annuals for Michigan – guide to over 443 annuals suited to the climate of this Great Lake state. Annuals for Ohio – this plants guide features over 335 annuals best suited to growing conditions in Ohio. A Quick Reference Chart provides information at a glance on color, sowing, height, hardiness as well as light and soil requirements. 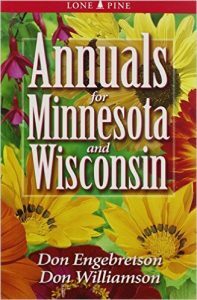 Annuals for Illinois – this book features over 300 annuals suitable to the Illinois climate. A must have addition to any garden library. You’ll find plenty of practical advice on choosing the best varieties of annuals for your garden, tips for improved growth and strategies for taking on pests and other problems. Annuals for Washington and Oregon – discover the best annuals for the Northwest with this colorful guide. Plenty of photographs and illustrations accompany clear, easy-to-follow gardening advice. 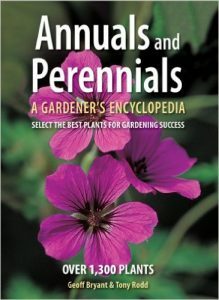 If you didn’t find what you are looking for, feel free to search more books on growing Annuals here. You can also download some great e-books to your Kindle and have all information at hand at the nurseries or in your garden. Garden Plant Guides: Annuals: How to Grow Annual Plants in Your Garden (GardenersHQ Gardening Guides Book 1) – The GardenersHQ Guide to Growing Plants: Annuals edition gives advice on how to plant, sow and look after over 200 different genera of annual plants in your Garden; It also includes perennials that are often treated as annuals in the garden). The GardenersHQ Garden Plants Growing Guide: Growing Annuals & Perennials in your Garden from Seeds & Bulbs (GardenersHQ Gardening Guides Book 3) – The GardenersHQ Garden Plants Growing Guide: Growing Annuals & Perennials in your Garden from Seeds & Bulbs provides information on How to Grow nearly 500 different genera of annual and perennial plants in your garden from seeds, bulbs, and transplants. Very helpful to look plants up real quick! RHS advises to plant hardy annuals in early autumn, usually September in the UK, when the soil is still warm. Cultivate the ground shallowly to loosen the top inch of soil and to remove weeds. In a jar, shake the seeds with some dry sand; the sand facilitates distribution of the seeds and makes it easier to see where the seeds have landed. The exact proportion of seeds to sand doesn’t matter, and you can mix more than one type of seed in the jar. Then sprinkle the sand over the ground. Except for seeds such as poppies that prefer to remain on the surface, rake gently to cover, then water. You can also just compress the whole area with seeds. To do this for small areas, just walk over it, and your footprints will do it. Just make sure you compress the entire area. (Kids love to help with this.) For medium sized areas, we often lay down a piece of plywood, and jump on it. For larger areas, a lawn roller is the best. That’s it. Now, just wait till spring, when the weather warms up, you’ll notice your seed sprouting early. Usually, you won’t have to water, since spring weather is almost always wet enough. Only if you notice some really dry sports, then water immediately. These hardy annuals may require protection in northern parts of the UK, or even in southern parts if winter is harsh. Keep an eye on the weather, and if hard frosts are forecast, protect sowings with cloches or horticultural fleece. Ammi majus (bishop’s weed), Briza maxima (quaking grass), Calendula officinalis (pot marigold), Centaurea cyanus (cornflower), Consolida (larkspur), Linum grandiflorum (flax), Hordeum jubatum (squirrel tail grass), Nigella damascena (love-in-a-mist), Lunaria annua (honesty), Papaver somniferum (opium poppy), Papaver rhoeas (Shirley poppy), Papaver commutatum (ladybird poppy). These hardy annuals will need some protection from frosts, even in milder parts of the UK. Cloches and horticultural fleece should do the job. In colder parts of the country, consider sowing these in pots under glass. Adonis aestivalis, Cerinthe major ‘Purpurascens’, Eschscholzia californica (California poppy), Nemophila menziesii (baby blue eyes), Lathyrus odoratus (sweet pea), Linaria moroccana Fairy Bouquet Group (toadflax).